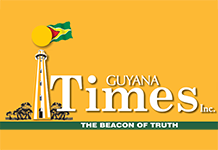 Article 106 (6) of Guyana’s Constitution states: “the Cabinet including the President shall resign if the Government is defeated by the vote of the majority of all the elected members of the National Assembly on a vote of confidence”. There are 65 elected members of the National Assembly – all voted on the no-confidence motion on December 21, 2018: – 33 for and 32 against = 65. This meets the requirement of Article 106 (6), it is also the absolute majority. According to the Court of Appeal’s 2 to 1 decision on this matter, the majority of the 65 members in the National Assembly is 34 and not 33. If this is so, despite the plain and unambiguous English language of the Constitution, then the National Assembly should have 34+32=66 members by importing one member. What is the majority to the Court of Appeal? Using the ruling that the majority of 65 is 34 and not 33 although 33 is a higher number than 32, then the majority in a three-member Appeal Court would be 1.5 rounded up to 2+1=3+1 = 4. Similarly, the majority of the 7 members of GECOM would be 3.5 rounded up to 4+1 = 5, the absolute majority in being consistent with the decision of the Court of Appeal. Some judges and lawyers need to take refresher courses in language arts and basic mathematics. Are the Appeal Court judges going to rewrite the mathematics textbooks for our student with their new maths? The nation is being treated with a display of judicial and legal double standards and hypocrisy. May Almighty God help our nation.